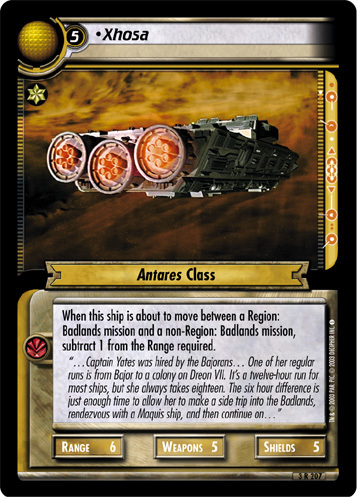 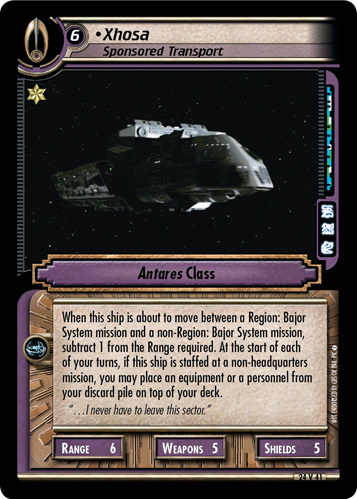 While this ship is about to move between a Region: Bajor System mission and a non-Region: Bajor System mission, subtract 1 from the Range required. 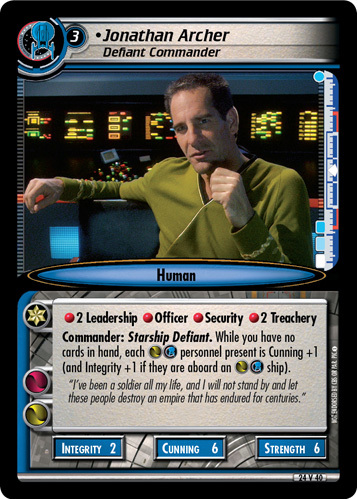 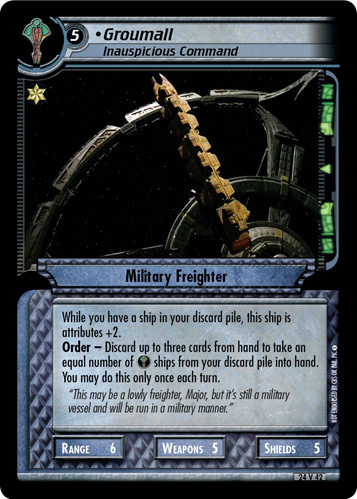 At the start of each of your turns, if this ship is staffed at a non-headquarters mission, you may place an equipment or a personnel from your discard pile on top of your deck. 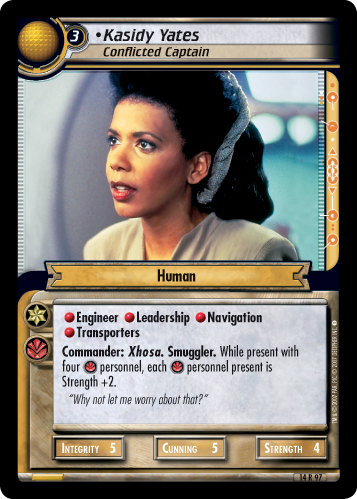 "...I never have to leave this sector." 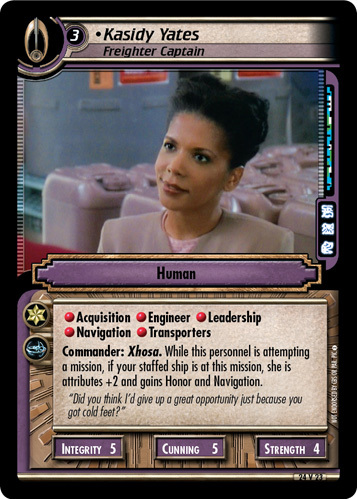 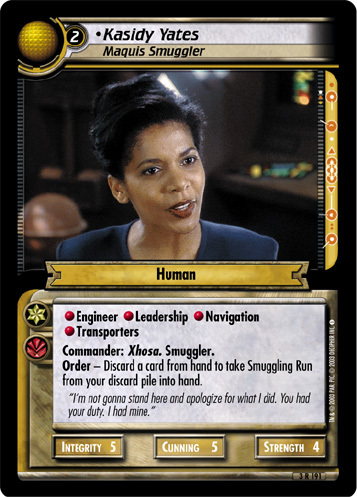 Image Source: Deep Space Nine: "For the Cause"